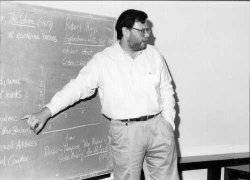 DMH giving a lecture an Institute for Humane Studies Summer Seminar c. mid-1990s. He is explaining the Higgs' "ratchet effect" of the growth of state power. DMH giving a lecture at a Foundation for Economic Education Summer Seminar in 2010 on the ruling class & the state. 21-23 November, 2015: "Entrepreneurs, Investors, and Scribblers: An Austrian Analysis of the Structure of Production and Distribution of Ideas". A paper given at the Southern Economics Association, New Orleans, November 21-23, 2015. HTML and PDF. 2 Oct. 2015: "Reassessing Frédéric Bastiat as an Economic Theorist". A paper presented to the Free Market Institute, Texas Tech University, Lubbock, TX, October 2, 2015. HTML and PDF. 14 April, 2015: "Literature IN Economics, and Economics AS Literature I: Bastiat's use of Literature in Defense of Free Markets and his Rhetoric of Economic Liberty." A paper given at the Association of Private Enterprise Education International Conference (April 12-14, 2015) , Cancún, Mexico. HTML and PDF. 14 April, 2015: "Literature IN Economics, and Economics AS Literature II: The Economics of Robinson Crusoe from Defoe to Rothbard by way of Bastiat." (Draft). A paper given at the Association of Private Enterprise Education International Conference (April 12-14, 2015) , Cancún, Mexico. HTML and PDF. An earlier working title was "Robinson Crusoe and Praxeology: A History". 6 April, 2015: A revised translation of Molinari's "Eleventh Soirée" (with additional footnotes) from Gustave de Molinari, Les Soirées de la Rue Saint-Lazare; entretiens sur les lois économiques et defense de la propriété (Paris: Guillaumin, 1849), "Onzième Soirée," pp. 303-37. 28 March, 2015: "The Liberal Roots of American Conservatism: Bastiat and the French Connection." A paper given to the Philadelphia Society meeting March 27-29, 2015 on "The Roots of American Conservatism - and its Future". HTML and PDF. 23 Sept. 2014: A paper on “Negative Railways, Turtle Soup, talking Pencils, and House owning Dogs”: “The French Connection” and the Popularization of Economics from Say to Jasay. Indianapolis, ANZAC Day 25 April: “How we Remember War.” A Talk given at the Indy Aussies group on ANZAC Day in Indianapolis, Indiana in 2014. [PDF 377 KB]. 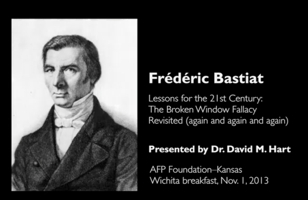 4 Feb. 2014, Colorado Springs, Colorado: “Bastiat’s Lessons for the 21st Century: The Broken Window Fallacy Revisited (again and again” [PDF 8.3 MB] and "Frédéric Bastiat: The Man and the Statesman (and much more)" [PDF 8.6 MB]. Talks given to the Colordo Springs Bastiat Society. 24 November, Tampa, Florida: “On Ricochets, Hidden Channels, and Negative Multipliers: Bastiat on Calculating the Economic Costs of ‘The Unseen’.” A Paper given at the History of Thought Session of the Society for the Development of Austrian Economics. Southern Economic Association 83rd Annual Meeting, November 23-25, 2013. Full paper [PDF 725 KB] and lecure overheads [PDF 2.2 MB]. October 17, Indianapolis, Indiana: “An Introduction to the Economic Thought of Frédéric Bastiat.” Talk given to Students from the Economics Department of Ball State University. [PDF 7.9 MB]. 26 April, College of New Jersey: "Frédéric Bastiat (1801-50): Campaigner for Free Trade, Political Economist, and Politician in a Time of Revolution." [PDF 8.4 MB]. April 14-16, 2013, Maui: “Bastiat’s Lessons for the 21st Century: The Broken Window Fallacy Revisited (again and again).” Paper given to the Association of Private Enterprise Education (APEE) annual conference. Full paper [PDF 273 KB] and lecture overheads [PDF 1.8 MB]. July 7-13, 2012: Institute for Humane Studies Summer Seminar on Liberty and Society: Bryn Mawr College, Philadelphia (July 7-13, 2012). June 7: Talk to the Bastiat Society of Delaware, Wilmington. "Bastiat: The Self-Taught Economist." June 1: Paper on “'Is Biography History?' The Relationship between Ideas and Action in the Life of Frédéric Bastiat (1801-1850): A Biographical Approach" [PDF 1.3 MB] at the Historical Society's 2012 Conference, University of South Carolina, Columbia, South Carolina. 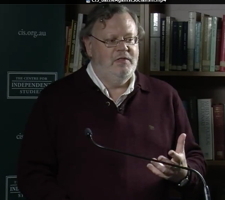 14 October: Cato Institute Book Forum (on Bastiat, Collected Works vol. 1) at the Cato Institute and the Atlas Economic Research Foundation, Washington D.C. The presentation in [HTML] and [PDF 5 MB]. 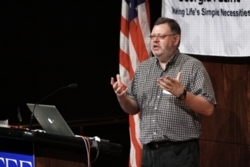 August 3, 2011, Charleston, SC: Talk on Bastiat to the Bastiat Society. July 16-22, 2011: Institute for Humane Studies Summer Seminar on Liberty and Society: Bryn Mawr College, Philadelphia. May 28 - June 3, 2011: Institute for Humane Studies Summer Seminar on Liberty and Society, Wake Forest University. April 6, 2011: "The Liberty Fund & and the Battle for Ideas about Liberty" and "A Brief Introduction to the Thought of Frédéric Bastiat", a talk to the Mt. Hamilton Society, Silicon Valley Capital Club, Knight Ridder Building, San Jose. 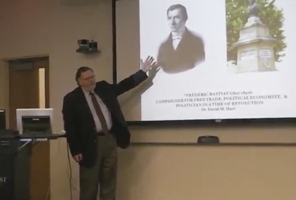 April 4, 2011: "Frédéric Bastiat (1801-1850): Campaigner for Free Trade, Political Economist, & Politician in a Time of Revolution", David S. Saurman Provocative Lecture Series, Dept. of Economics, San Jose State University. Breakout Session: "How to use Liberty Fund's online resources on Economics." February 26 , 2011: Lecture on Frédéric Bastiat (1801-1850): Campaigner for Free Trade, Political Economist, & Politician in a Time of Revolution, "Evening at FEE", Foundation for Economic Education, Irvington-on-Hudson, NY, February 26, 2011, 6.15-9.30 pm. February 17, 2011: Lecture on Frédéric Bastiat (1801-1850): Campaigner for Free Trade, Political Economist, & Politician in a Time of Revolution, George Mason University, Fairfax VA.
February 8, 2011: Lecture on The Importance of Frédéric Bastiat at Ball State University, Muncie, Indiana. 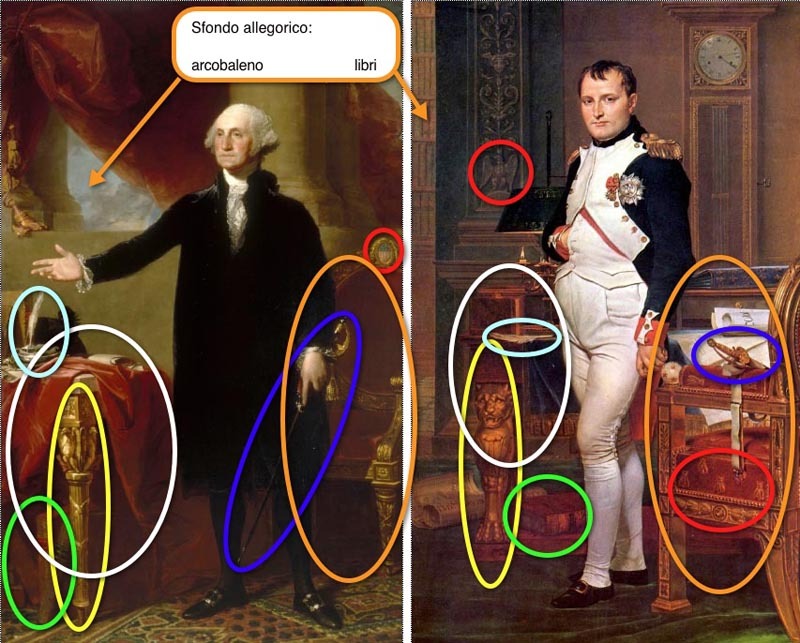 on Picasso's Guernica - Guerra e Arte: Guernica. Pablo Picasso dalla guerra civile spagnola al Vietnam. 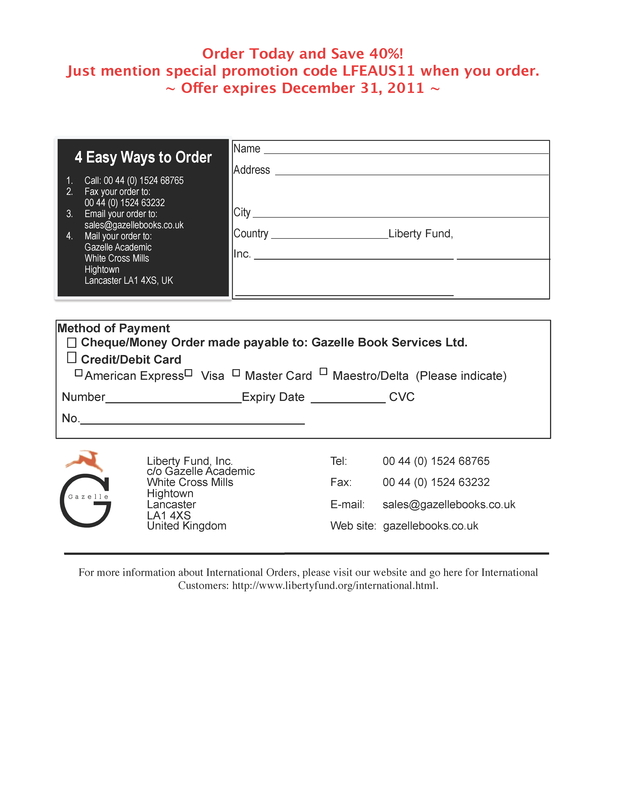 [PDF copies here: Part 1 [PDF 695 KB] & Part 2 [PDF 1.66 MB] but much more at the website]. Lecture 1: Reflections on Liberty and Power in Modern Art, the Westervelt-Warner Museum of American Art, Tuscaloosa, Alabama. Lecture 2: Marching to the Beat of a Different Drummer. 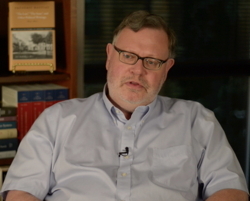 The Liberty + Power Lectures, Department of History, the University of Alabama. 2010 - an Italian translation of my article on "Pablo Picasso (1881-1973): From the Spanish Civil War to Vietnam." August 24, 2010: Centre for Independent Studies talk on Ideas and the Internet: The Prospects for Liberty [PDF 5.9 MB]. August 20, 2010: 1974 English Class Reunion. July 24-30, 2010: Institute for Humane Studies Summer Seminar Morality, Capitalism, and Freedom. June 2010: Classical Liberal Theories of Class and the State at the Foundation of Economic Education Summer Seminar on Liberty and History. January 26, 2006: Talk to Eastwood Middle School 7th Grade Social Studies Class on Everything you thought you wanted to know about Australia on Australia Day. January 25, 2005: Talk on the history of the Bill of Rights to the Association of International Women, Indianapolis. May 9, 2004: A working paper entitled War and Peace in the Visual Arts. March 7, 2004: Question and Answer Activity Sheet for 5th Graders at Allisonville Elementary School, Indianapolis for a field trip to the Indianapolis War Memorial Museum. In PDF format - Questions only 44 KB - Questions and my Answers 64 KB. January 25, 2004: Talk on Picasso's war art to the Honors Program in the Faculty of Arts, James Madison University, Virginia. December 14, 2003: Presentation on the history of Bills of Rights to Allisonville Elementary School, Indianapolis. 1979 - my thesis on "Gustave de Molinari and Anti-statist Tradition"